Simone Emery delivers her fun, pressure free approach to helping develop chewing skills. 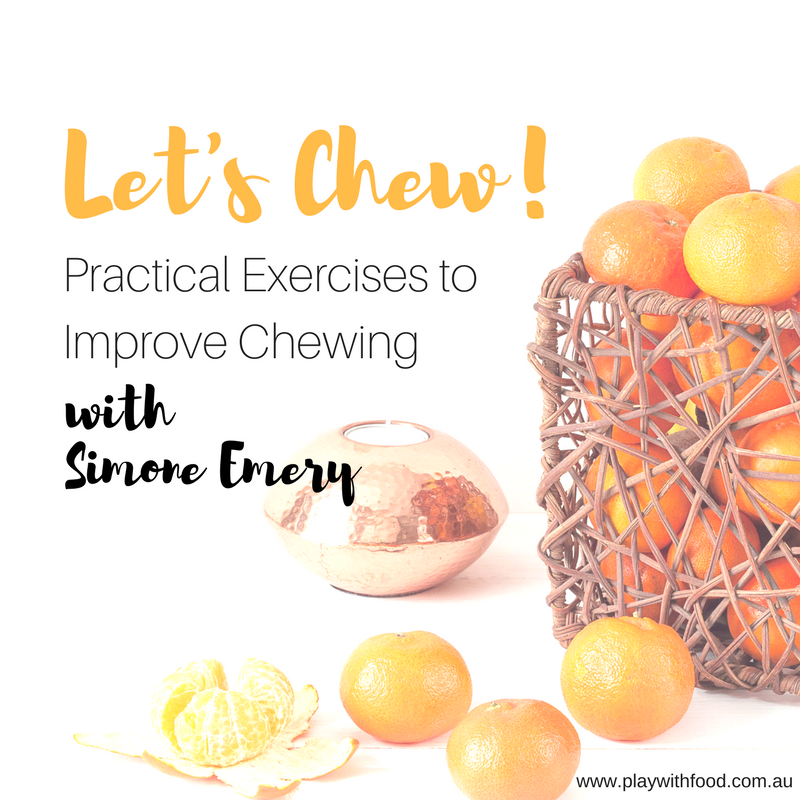 Based on her clinical feeding therapy experience, Simone has compiled some exercises for parents to do and seven others for parents to do with their kids at home to improve chewing! If you were trying to teach your kids to swim, you would take them to the pool, get them dressed appropriately, make sure they had the utensils (aka swim goggles / cap) and …. expect them to swim! Ummm…. not exactly. In the swimming scenario, we know that need to work on the skills, build confidence and practice, practice, practice. It is the same with eating. Eating is one of the most complex tasks we need to learn and we have to do it ALL.THE.TIME. As children develop, they may experience a range of issues that impact feeding or cause a regression. The problem can be exacerbated when they aren’t practicing. Children may avoid using or developing chewing skills and they miss out on practice when they stick to “easy to chew” foods. However, continually presenting foods that they need great oral motor skills (like meat, mixed textures and some vegetables) may be met with an unfaltering …. NO WAY! This is exasperating. In the clinic environment, it’s not uncommon for children with an oral aversion or skill deficit to walk through our doors. Chewing issues can go undiagnosed too, which adds to the stress for parents left scratching their heads over why their child only likes beige, easy to eat foods. Although oral motor skills aren’t the only root cause for food refusal, practice and equipping yourself with more knowledge is always useful, right?! This is the reason behind this product. The tools. The understanding. The VIDEOS. 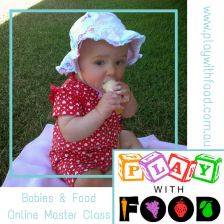 All aimed at helping your child get into “chewing training” away from mealtimes with NO PRESSURE. The parent PDF handbook is 11 pages long and is a MUST for you to read fully before you launch into the 8 videos of chewing exercises. There are two parent exercises that you need to try out for yourself first too. Then comes the fun bit! Setting your child up for some fun oral motor skill training. Sideways. Up-ways. Out-ways. Mess-ways. The aim is to move away from having my video lead the play and move towards you all enjoying the activities together in a relaxed atmosphere. It is highly recommended that you also investigate my more in-depth program “Goodbye Picky Eating” to compliment what you will be doing in these hands on exercises. 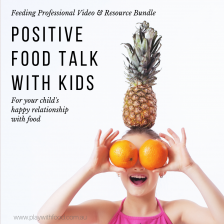 And further to this, if you notice that your child is presenting with oral motor skill issues, these videos can help highlight this and help you advocate for assistance from a speech pathologist with a special interest in feeding children. Come on let’s improve chewing for your child …. Let’s Chew!